He’s too nice and calm that it just makes me endlessly suspicious. This is how ALL stories with master manipulators start… LOL. He’s still too shady for me and I can’t drop my guard around him LOL no one is ever that calm and nice without hiding something underneath, although I guess Motonari’s “dark past” is the fact that he used to be a fear-inspiring general who was going to raze everything to the ground between him and the capital, where Himemiko was. I haven’t heard anything about there being another division group? Not from any official mentions or anything… unless they’re referring to the past with the Dirty Dawg group? Haha, yeah, my personality according to all the MBTI tests I’ve taken has been a true-and-true INTJ so I’m never comfortable around people or have patience for them |D but we gotta manage somehow when in public. I was just laughing at myself that day for being so zoned out that I actually forgot something as basic as how to smile. Waaaiiit…..what do you mean more in depth, what else is there to know? I totally get you. I’m just like that. (Though I don’t care much about the present, unless it involves something edible.) LOL. I love how he has no shame and just straight up asks that. 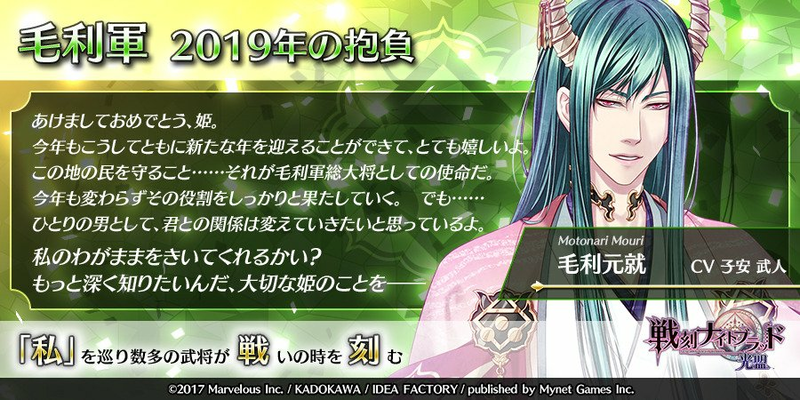 The rest hint at things and hope/wish to be together, but Motonari is just like “Do you see us as friends? Because I don’t. At all. I want to change my relationship with you” LOL. It’s really bad when I’m too deep in my head and forget how to interact with people hjsjhsjh this is why I do best with jobs where no one can talk to me and I’m just minding my own business and doing my own things.